Hey guys this is B. 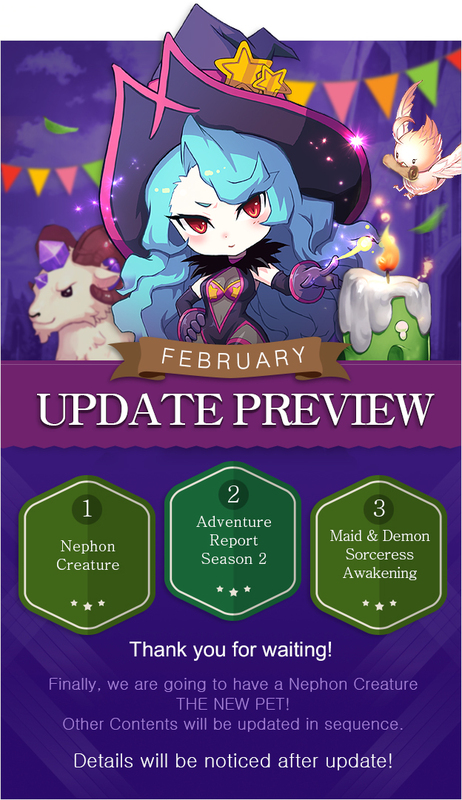 Before end of Feb, we will have a big update on Feb 27th. Well, it would be 26th of Feb(ingame time) for you guys. The amount of updates are too big so i thought it would be better to separate some part of updates. 3. Breaking the limit of Magical Damage revised and fixed. So the rest of things that I mentioned such as expansion of Level, trascendence skill and etc would be upadated at March or April.